When I’m shopping, my sweet spot is under $50 for a top. I don’t love spending more on a top unless it just totally blows me away. I think it’s because tops are often memorable, whereas a great pair of skinny jeans can be worn 100 times without ever noticing. 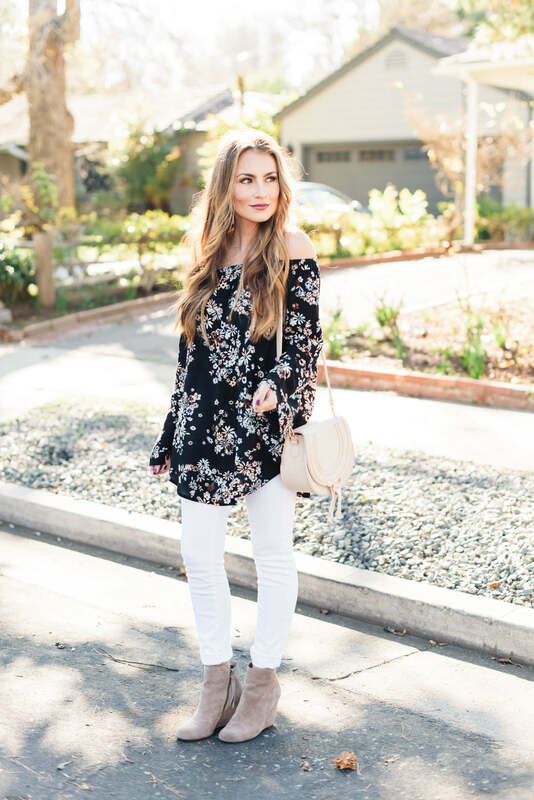 This top is $45 and is my favorite trend: off-the-shoulder. 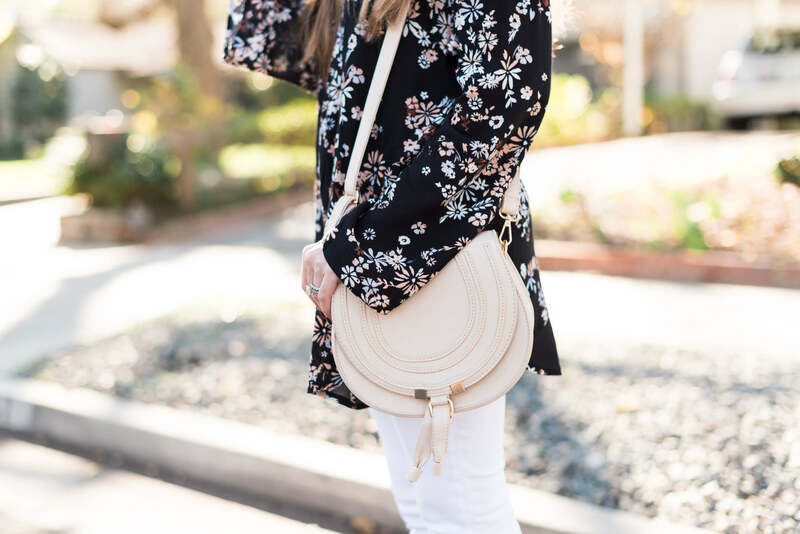 Although this floral print is sold out, it’s still available in black or white, which are great options all year long. 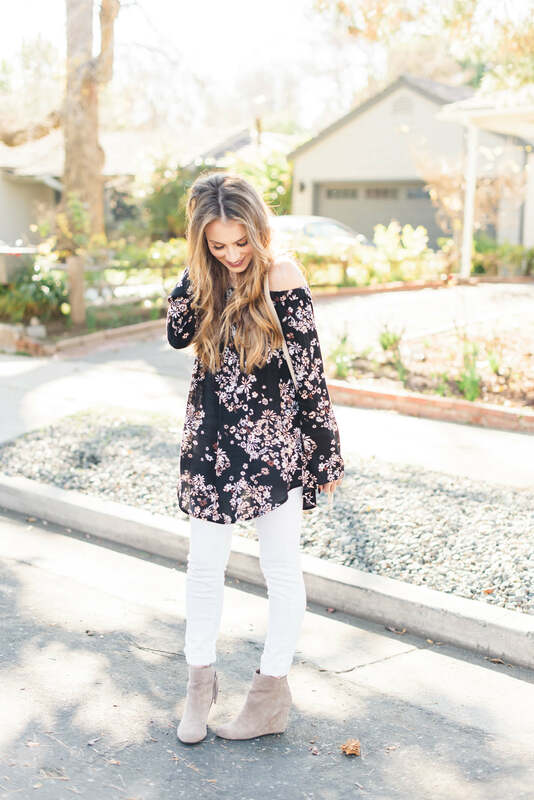 First, I styled this tunic with white jeans and booties. This tunic easily doubles as a mini dress. If you are worried about length, size up to give some extra fabric at the hemline. BP. brand typically runs large and I wear an XS, but I could’ve gone with a Small to make this a little longer as a dress. 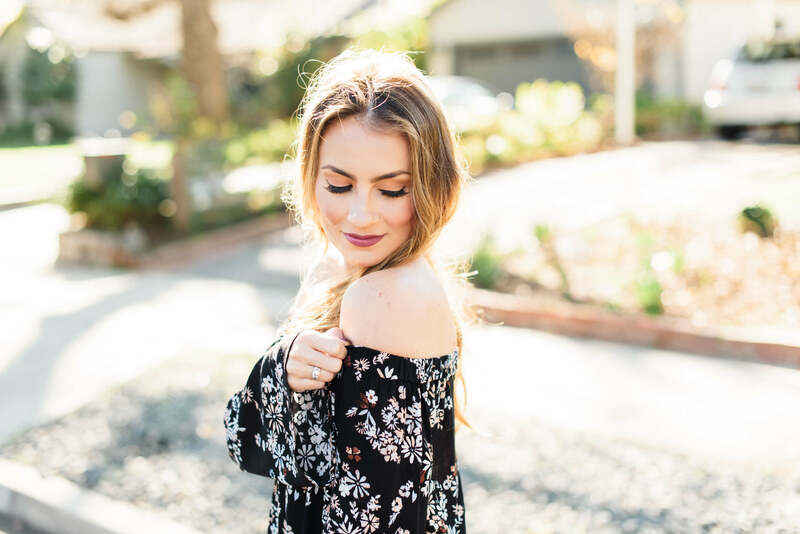 I love the look of this top paired with over-the-knee boots for a sassy date night look. These Steve Madden boots are under $100 and are perfect dupes for the highly coveted Stuart Weitzman tall boots. Photos by Kara Coleen Photography. I love how you styled this!! So cute, I am with ya about not spending over $50 on a top, but this one is awesome since its well priced and you can wear it multiple ways!! SOOOOO PRETTY! That top is seriously beautiful and it looks so good on you! I wish I could pull it off as nice as you! Hey girl! Love your blog 🙂 I would love to see you do a review on the Limelight by Alcone makeup line. I see it everywhere now, and I really value your opinion on makeup, skincare, etc. Thanks, Tara! I’m not familiar with that brand!